Combine 1 tbsp Splenda Brown Sugar Blend, paprika, mustard powder, cumin, salt, and pepper. Rub the spice blend all over the pork. Heat oil in a sauté pan over medium-high heat and cook the pork about 2 minutes on each side. 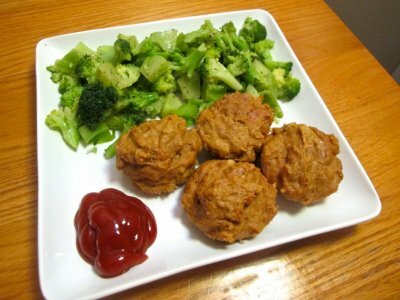 Whisk together the apple cider vinegar, tomato paste, 2 tbsp Brown Sugar Blend, and the water. Add the vinegar mixture and the pork to the slow cooker. Cook on low for 7 hours (or until the pork meat is basically falling off the bone). Flip pork shoulder after 6 hours. 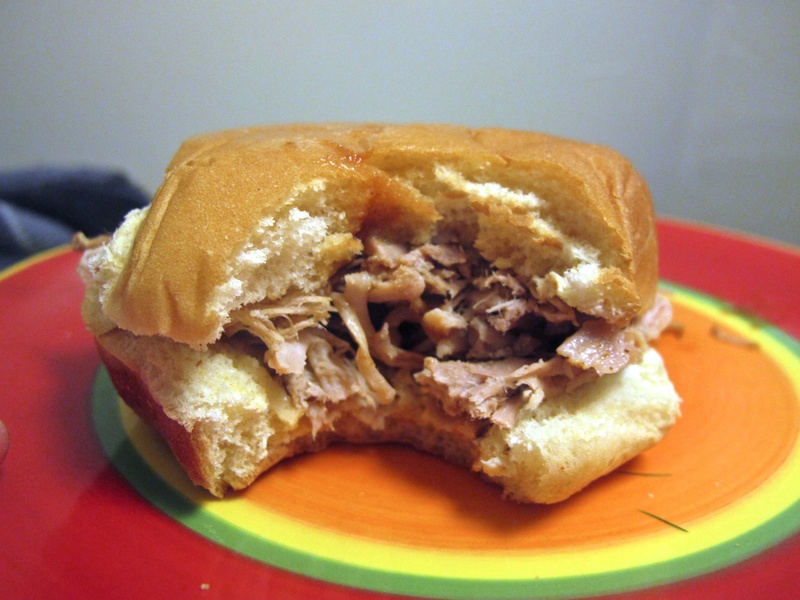 Serve on hamburger buns with a little bit of mayonnaise (I like to pour some of the leftover sauce from the cooker over the pork before putting the top bun on!). This entry was posted in Entrée, Pork, Sandwiches, Slow Cooker, Traditional American on January 17, 2014 by Miranda @ Tempest Books. 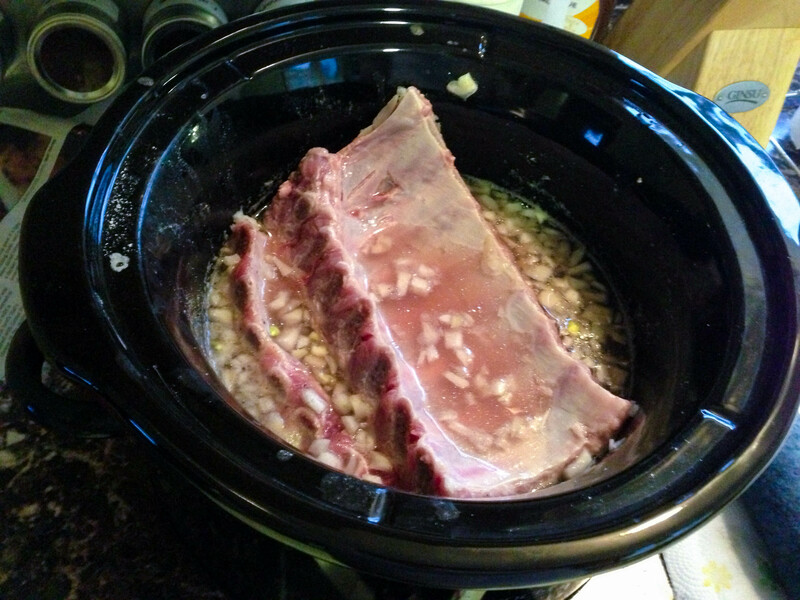 Cook in crockpot on high for 1-1/2 hours. Change setting to low and continue to cook for 5 more hours. Line cookie sheet with foil. Place ribs on foil and brush BBQ sauce over top. Broil on high approximately 5 minutes. Turn and repeat. Serve! This entry was posted in Entrée, Pork, Traditional American on January 17, 2014 by Miranda @ Tempest Books. Combine all ingredients together in a medium-sized bowl. Place in a loaf pan greased with cooking spray. Bake until insides are crispy (not mushy) for about 1 hour. Spread 2 tbsp of tomato sauce on the top of each piece. This entry was posted in Beef, Entrée, Pork on January 17, 2014 by Miranda @ Tempest Books.